Thanks to Triad Local First for helping support this initiative. 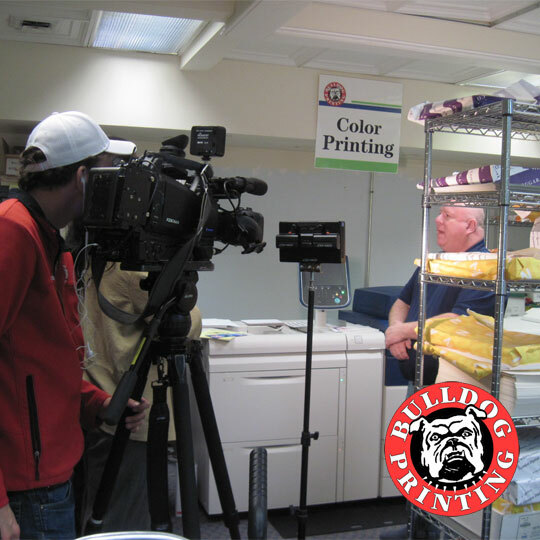 Tune into the 6pm and 10pm broadcasts of Fox 8 WHGP this Tuesday evening to see Bulldog Printing and learn about the proposed Buy Local Initiative currently under consideration by Greensboro City Council. Bulldog Printing is celebrating 4th of July at Bulldog Printing. Bulldog Printing is at Bulldog Printing. Here's a shout out to Dr. Litchford at Case Software! Case Software is a private educational publisher. We recently had a photo shoot here at Bulldog Printing where we set up a number of business materials we've designed, printed and provided in which she uses to show off and display. Examples include Flyers, Perfect Bound Books, Spiral Bound Workbooks, Business Cards, Banners and a Pop-Up Banner. Thank you for coming in and taking the time with us to photograph everything!! It is always a joy having you here!